The William A. Egan Civic & Convention Center offers more than 85,000 square feet of affordable, highly configurable meeting, exhibit and pre-function space in the heart of downtown Anchorage. 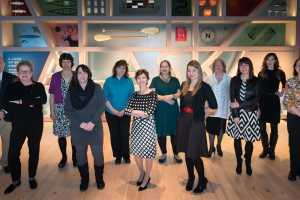 A generation of Alaskans have come together at the Egan Center to do business, network, celebrate and be entertained. With the completion of nearly $5 million in upgrades in recent years, the Egan Center is ready to welcome a whole new generation of meetings and events. From conventions and expos to intimate family gatherings, there’s a space at the Egan Center for any type of event. The Egan Center has three levels of functional, affordable meeting space. The Explorers Hall has 19,306 square feet of column-free space, with enough space for a banquet for 1,536 guests or a trade show set-up for up to 132 8-by-10 booths. Explorers Hall has been the stage for concerts and conventions, trade shows, meetings and benefits. For smaller events, Explorers Hall can be subdivided into three self-contained spaces – Cook, Arteaga and La Perouse halls. On the lower level, the 11,228-square foot Summit Hall is even more flexible. Divisible into as many as 14 individual rooms ranging from 570 to 1,368 square feet each, Summit Hall’s modular wall systems allow for a number of permutations to suit any need.